I agree! With the internet and people buzzing about the various secret and pleasant travel destinations, it is difficult to keep one at rest from exploring the beauty of places and visiting them. Since years, I’d say, since I saw the movie 3 idiots, I was always fascinated by the mesmerizing scenic views of Leh Ladakh. The movie, no doubt is one of the finest Bollywood movies I ever watched, but the inclusion of some bewitching landscape of Leh Ladakh added to the beauty of it. I have since became a fan of the place and have this dying wish to visit it someday. 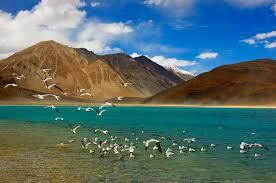 Ladakh is among the most breath-taking places on earth and one of the most cleanest places in India. Due to its remoteness, the sense of wasting is limited and things are re-used, thus making the Ladakhis ecologically aware and conservative. My friends and I have discussed a trip to Leh Ladakh a million times and we believe to make the bookings through Yatra as it has been benefited our friends in the past with great deals on bookings. A flight from Mumbai to Delhi by flight would be perfect, as many of my friends had a great travel experience with Jet Airways previously and the flights have been comfortable enough. The reason why we don’t prefer a direct flight to Leh from Mumbai is because we have heard of the amazing experience of witnessing the changing landscapes and the captivating stretches of natural beauty, one can have while travelling directly to Leh via Srinagar or Manali by road. In addition to this, one can experience the magnetic hill (from Kargil to Leh) when our car defies gravity to move a short distance of slight road elevation on its own! Leh is located in the Ladakh region of Jammu & Kashmir and is a picturesque little town enveloped by hills, unraveling a different picture of calmness and nature. It is not just a destination, but an experience. 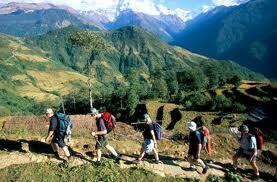 It is located at an altitude of about 11,000 feet and is bestowed with the gift of nature. One can experience simple pleasures like waking up to an azure blue sky in the morning or the sight of snow-clad mountains or the illuminating gaze of a million stars at night. Each picture, each experience is worth a lifetime. One of the most challenging things to get adapted to at Leh is its low pressure and thin oxygen levels, due to altitude, but the availability of Indian Army base hospital, helps tourists to take tips to fight altitude sickness. It also boasts of an army medical unit in the snow-laden Chang La Pass – at 17,586 feet, the third highest pass in the world – as well as an army tea stall serving complimentary hot tea! One of the recent tourist attraction being the Pangong lake, made famous by the movie 3 idiots, one has to cross the Chang La Pass from Leh to reach the lake and witness its beauty, 60% of which lies in Tibet. 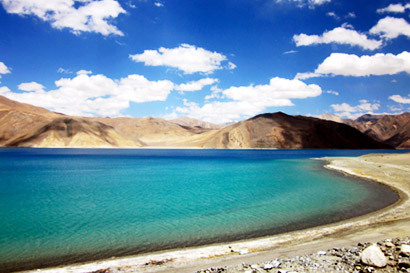 It is confined by striking barren hills and the glistening water Pangong possesses, one can actually count the seven shades of blue in the water. Other such tourist attractions we plan to visit in Leh are the magnificent and glorious Shanti Stupa, the ancient Leh Palace which gives a bird eye’s view of the entire town and the 400-year-old Jama Masjid. Apart from the mesmerizing views and tourist attractions, there’s more for the adventurous soul in us- river rafting, kayaking, trekking and hiking. 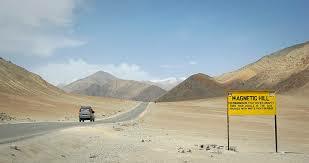 Overall, a 2 week long trip to Leh Ladakh is enough to experience and quench its beauty to the optimum. Have you ever visited Leh Ladakh? What has been your experience? What places are worth visiting? How was your overall experience? Share your ideas, thoughts and views in the comment section. Thank you there! Isn’t it an amazing place to visit? A friend of a friend who is a film maker spent a month there. Apparently there are a lot of places/people that we (tourists who stay there for a couple of weeks or less) missed. She worked with Ladakh Art and Media Organisation (LAMO) and made a film about: Opposite the Central Asian Museum is the tandoor Street where there are stalls owned by Kashmiris who’ve been making bread for three decades.